The Lasting Memory Foundation organized a ceremony of unveiling the memorial in Wolka Dobrynska on 16 July 2009. 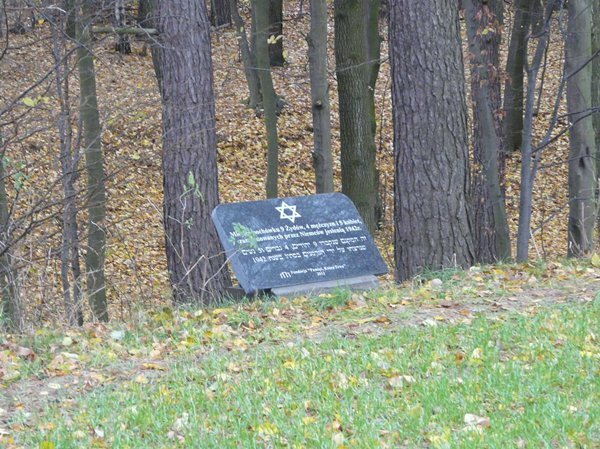 The monument was erected over a mass grave of Jews murdered by the Nazis in 1943. It was founded by Harley Lippman, a member of the United States Commission for the Preservation of America's Heritage Abroad. 86 members of his family were killed during the Holocaust. 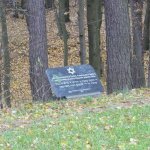 The Lasting Memory Foundation organized a ceremony of unveiling the memorial commemorating 14 Jews murdered by the Nazis and buried in Strzelce, 1942. The ceremony took place on 15 July 2009. The monument was founded by Harley Lippman, a member of the United States Commission for the Preservation of America's Heritage Abroad. On 28 May 2009 in Góra Kalwaria The Lasting Memory Foundation organized a meeting for local high school students. The Foundation member carried out a presentation titled “Following the traces of Polish Jews”. Among the guests were: Leszek Klewicki – the Righteous Among the Nations of the World, Henryk Prajs- the survivor of the extermination camp and Zbigniew Niziński from The Lasting Memory Foundation. On 21 May 2009 in headquarters of the Polish Association of the Righteous among the Nations , Zbigniew Niziński from The Lasting Memory Foundation carried out a presentation which concerned the unknown stories of rescuing Jews during the Nazi occupation. Guests had a chance to learn about those who had been killed for helping people of Jewish origin as well as about the unmarked martyrdom and burial sites of Jews.